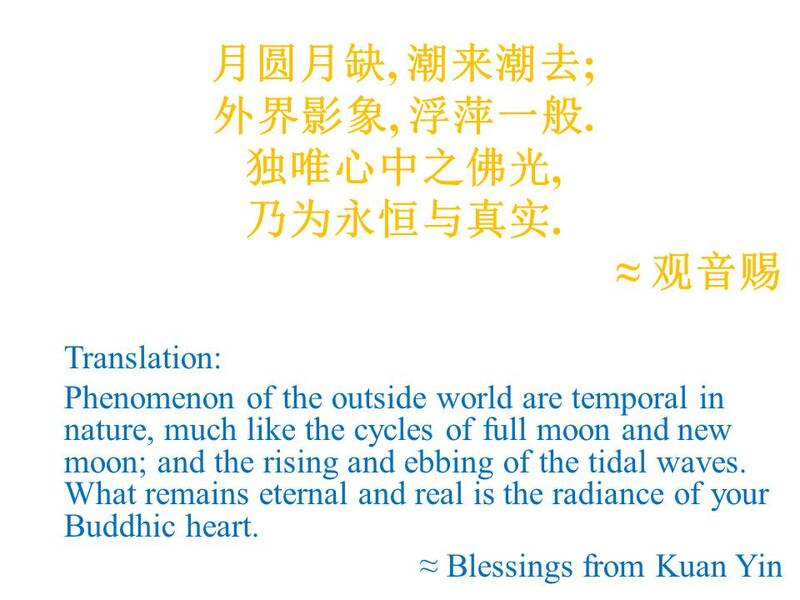 On this full moon in Cancer, the Chinese Goddess of Mercy and Compassion Kuan Yin transmits a poetic blessing through me, honoring the radiance of our Buddhic Heart (Chinese poem and translation attached below). We are finally into 2nd half of 2012. I am told by the Galactic Council of Light that from July 2012, as the Earth moves closer and deeper into the heart of the galaxy to complete the current Precession of the Equinox by December 2012, many of us will begin to tune-in to a force of spiritual enlightenment and expansion coming from the galactic center. For this reason, my work from July onwards will focus on assisting many to align themselves energetically to the galactic core, so they too could magnetise this energy wave of New Creation to themselves. See Calendar for teaching events coming up. May you be Happy, May you be Well. 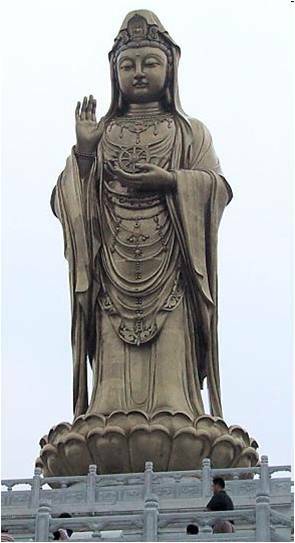 With Loving Kindness, Ann. Thank you Ann, Andy, for being the lights that you are. Many blessings, peace, love and light to all! Ann, I am so glad to have found your site and offerings of Spirit. Thank you for your work! You are dearly appreciated.